It takes input and output from SEVEN sources to a central NodeJS server. This includes a Web Dashboard, 3 bi-directional boards (2 dragonboard, 1 Pi 3), Leap motion input, Myo Armband input, and Twillo SMS input. 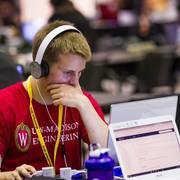 I worked on the leap motion input code and some C/C++ programming on the boards. 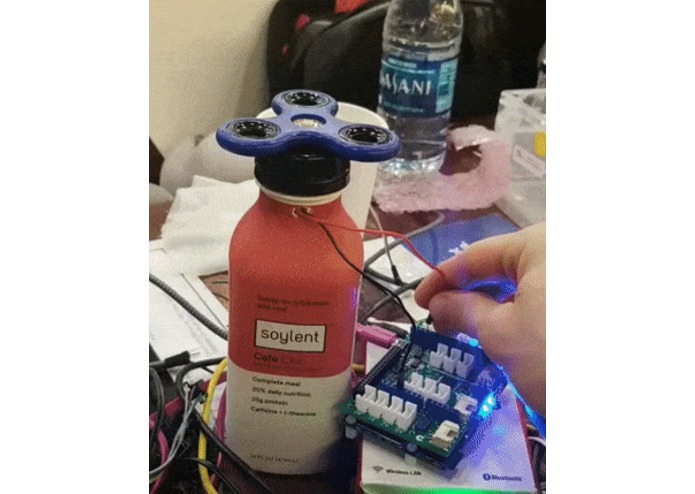 In addition, I hooked up the fidget spinner to the soylent bottle.